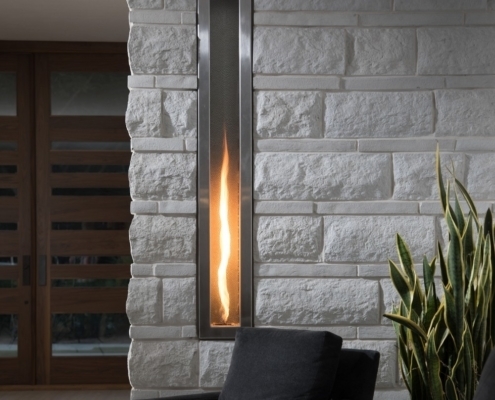 A head-turning architectural fire feature. 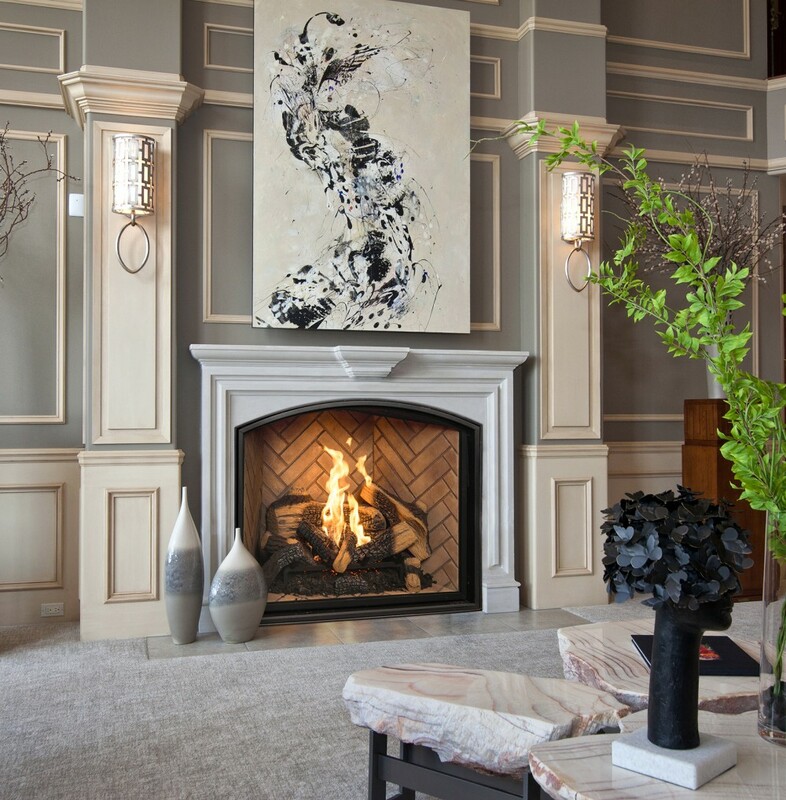 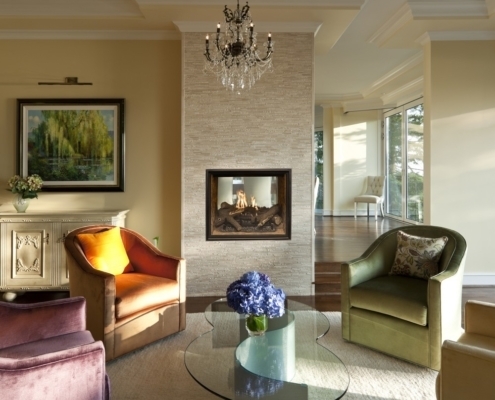 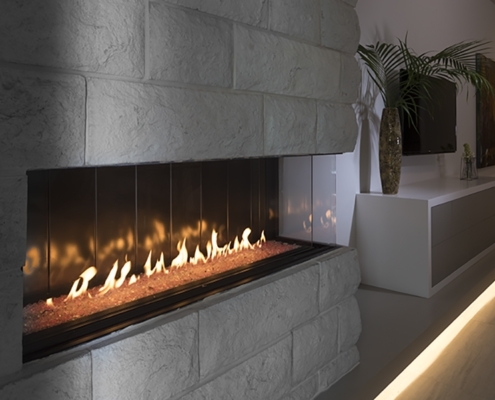 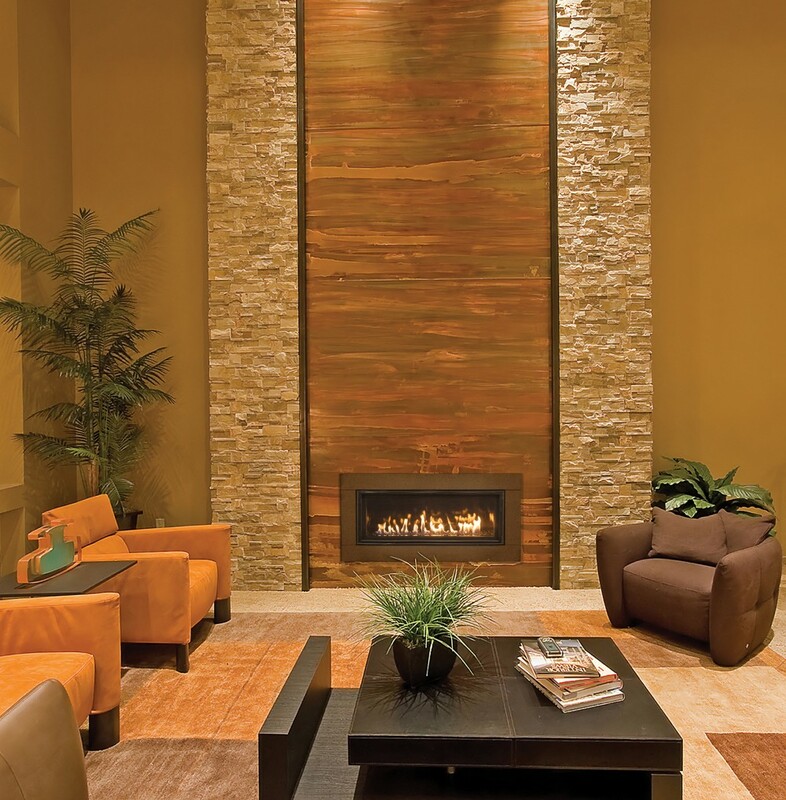 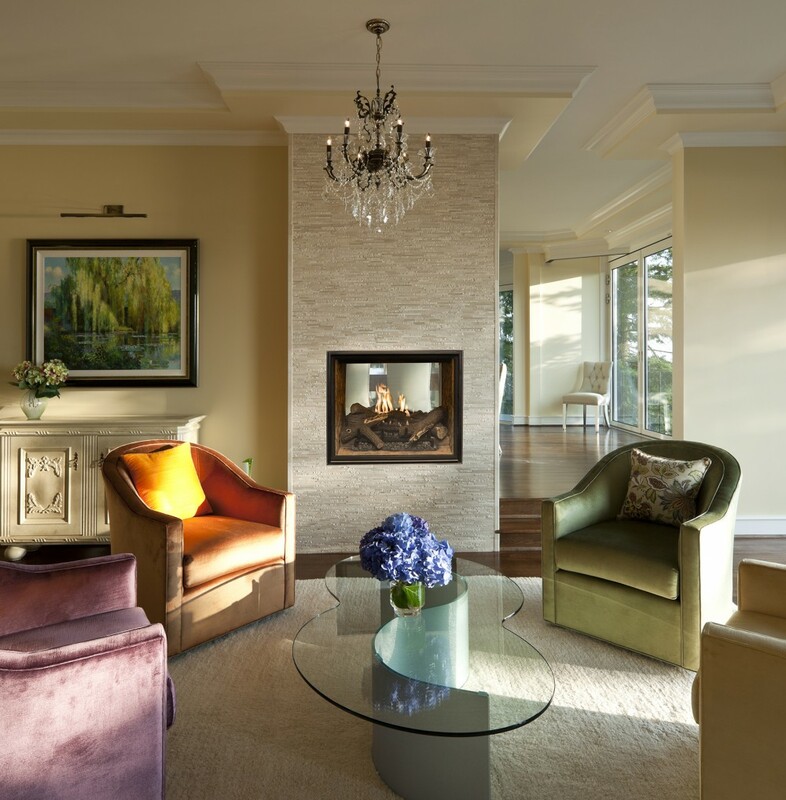 Adding a dramatic and eye-catching fire feature to any space, the HeliFire 360’s long, luxurious flame casts a seductive glow, making a bold design statement wherever it’s installed. 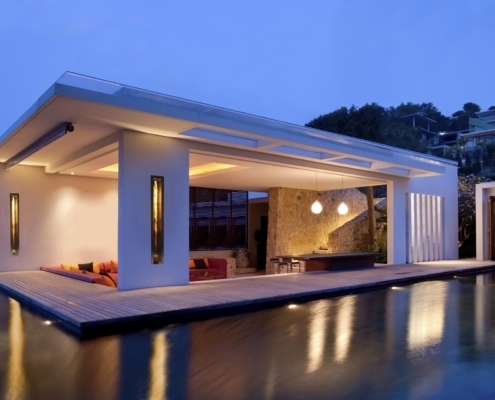 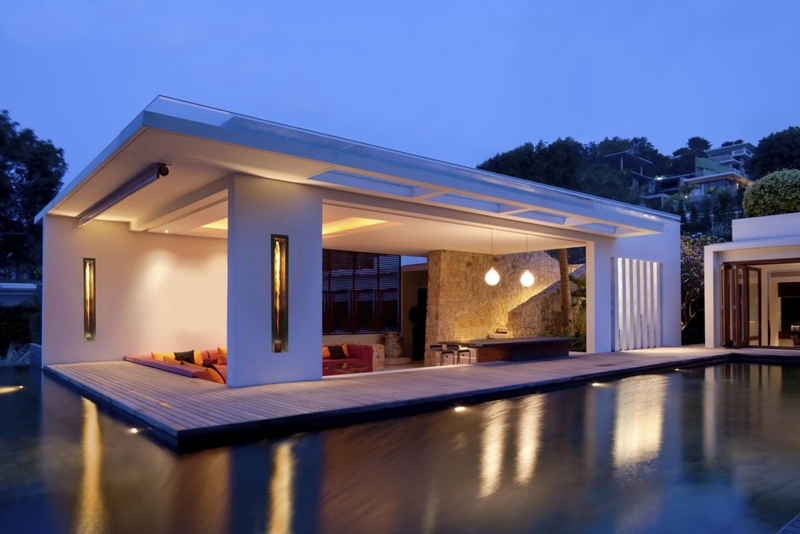 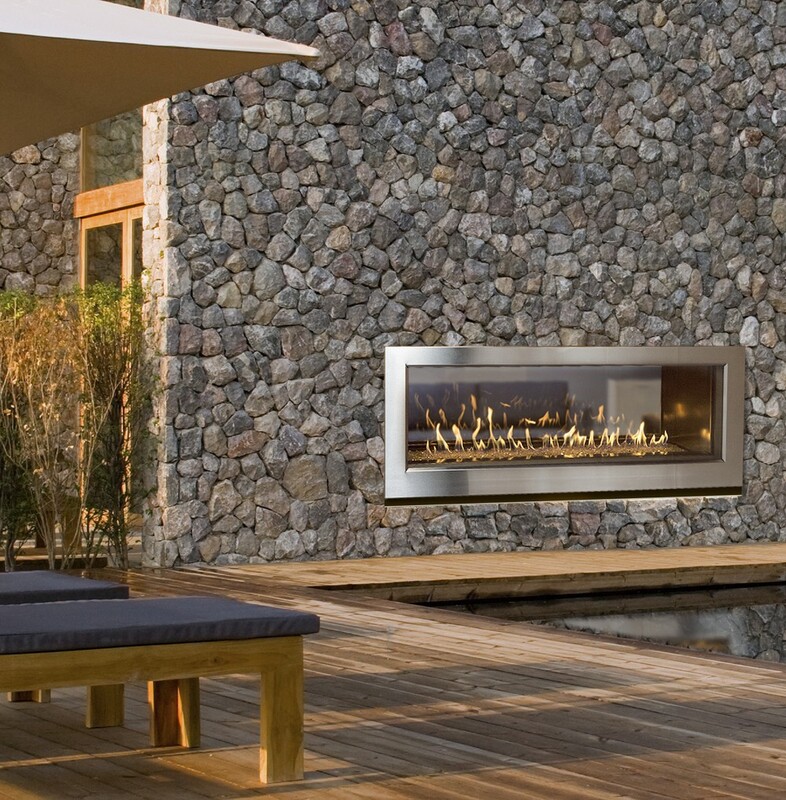 With endless installation possibilities, from horizontal to vertical, one-sided to see-through, indoor to outdoor. 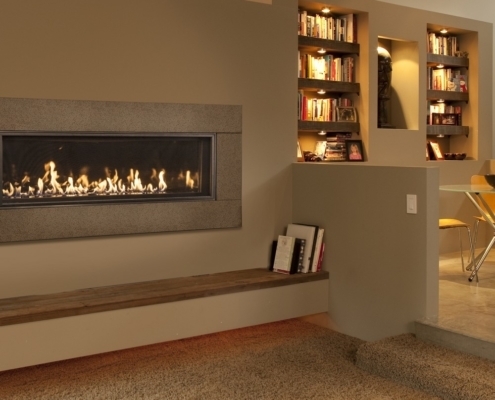 Intimate luxury for the smallest spaces. 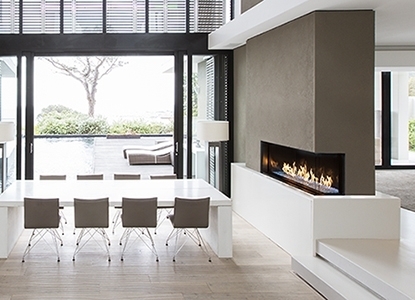 Traditional design meets modern living. 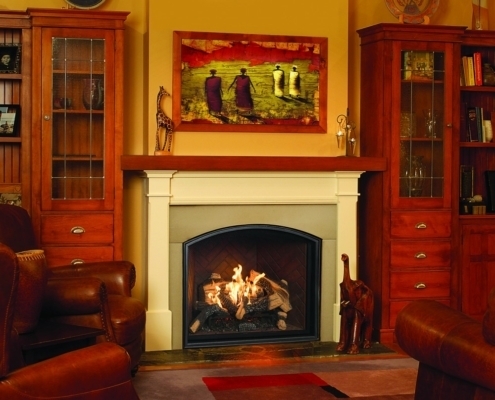 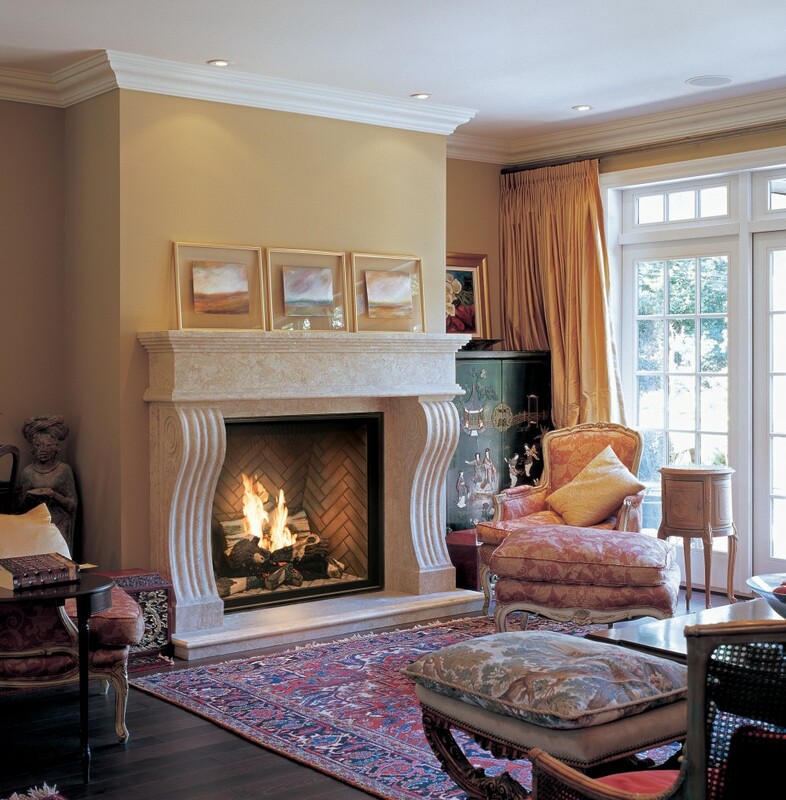 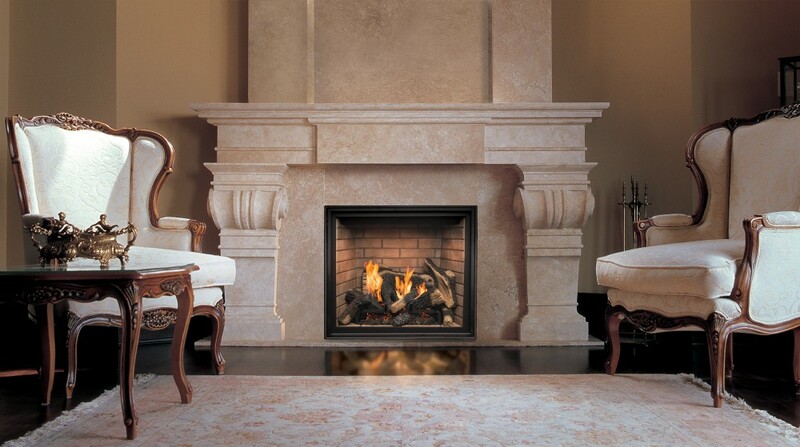 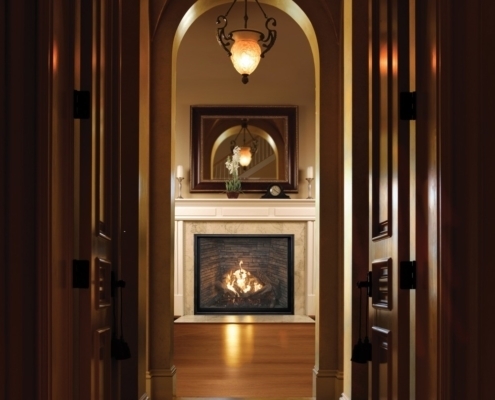 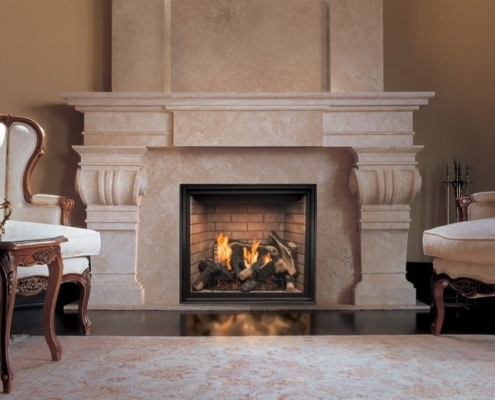 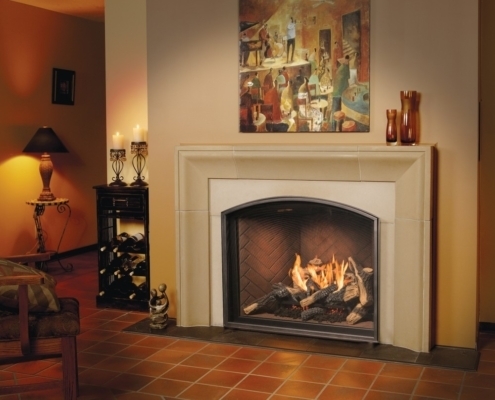 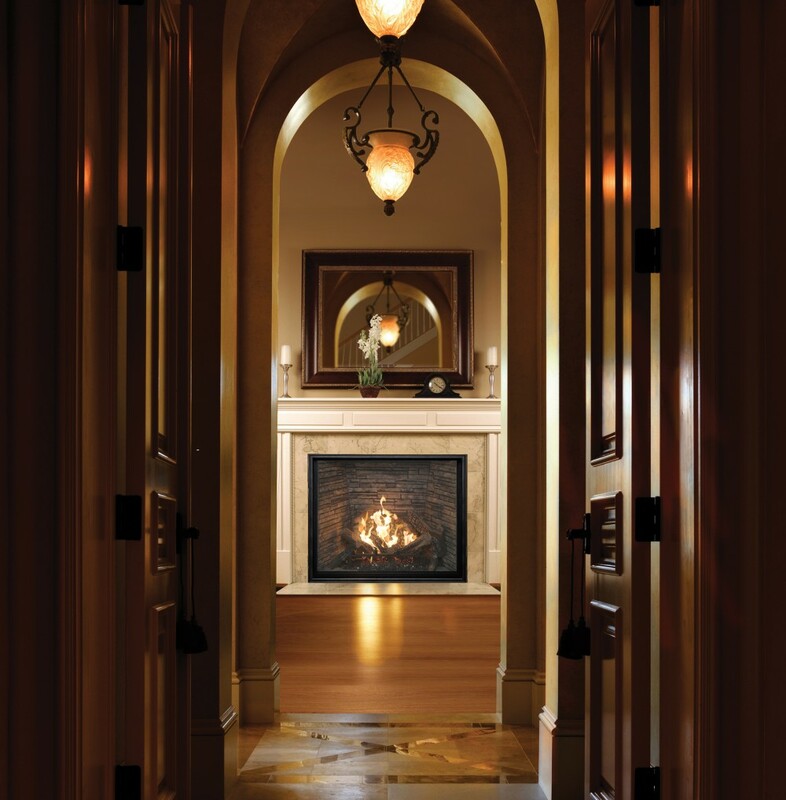 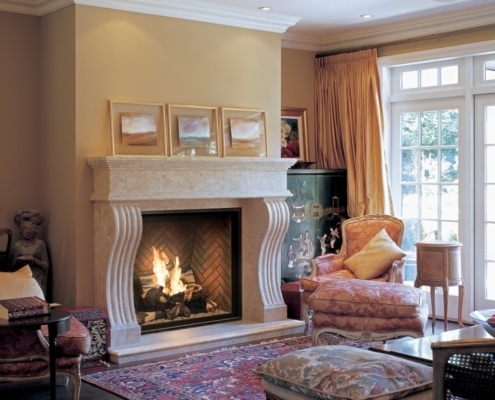 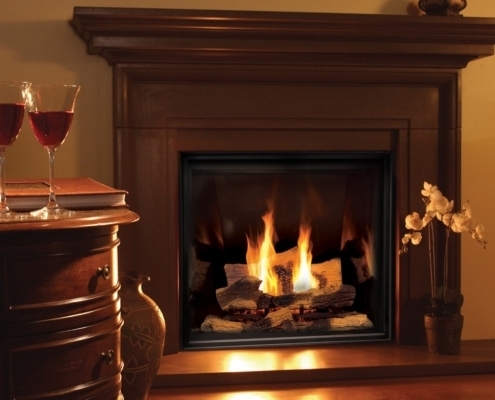 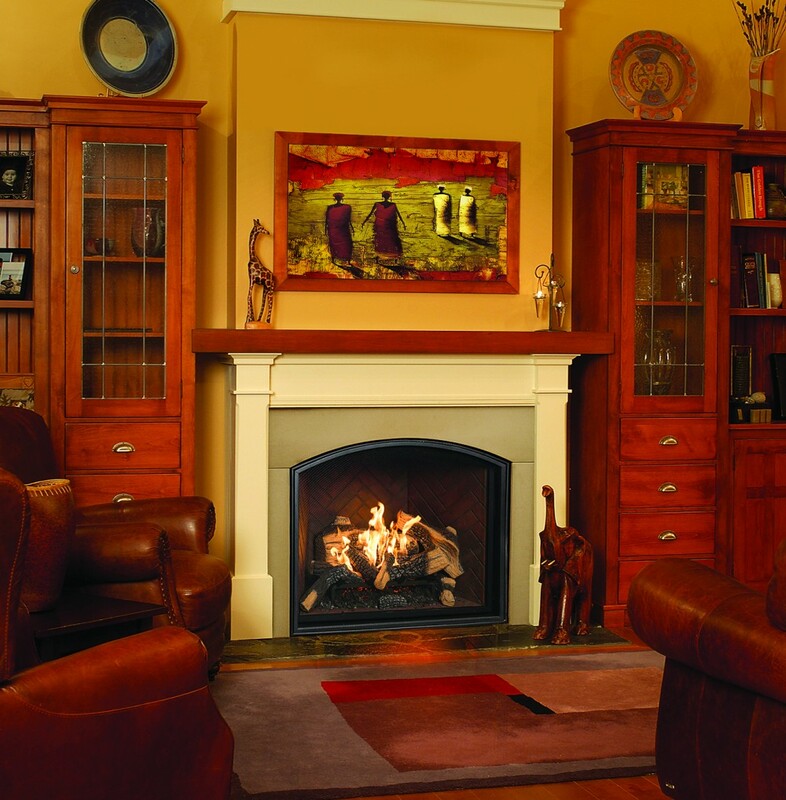 The TC36 Arch features a classic barrel arch face that replicates the Rumford-style hearth found in fine period homes. 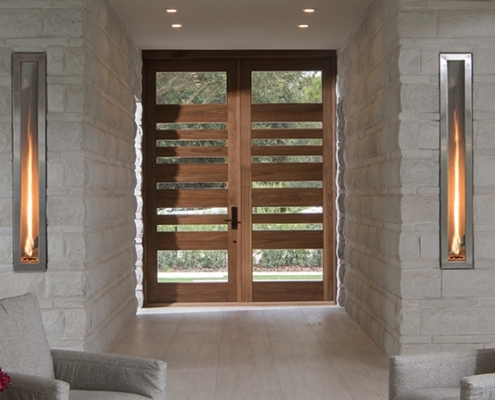 Without the clutter of louvers or heavy external trim, you can tailor the face with stone, tile or other finishes for a traditional look and feel – with all of the comforts of modern living. 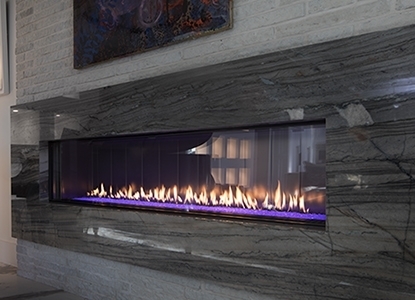 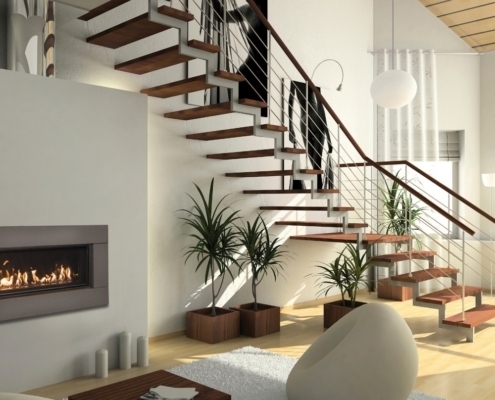 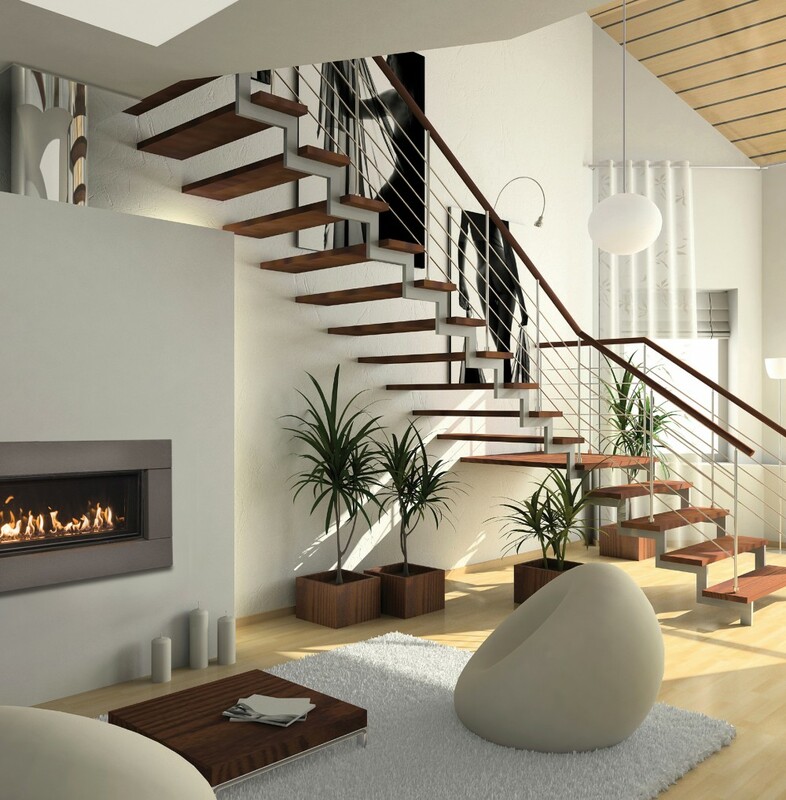 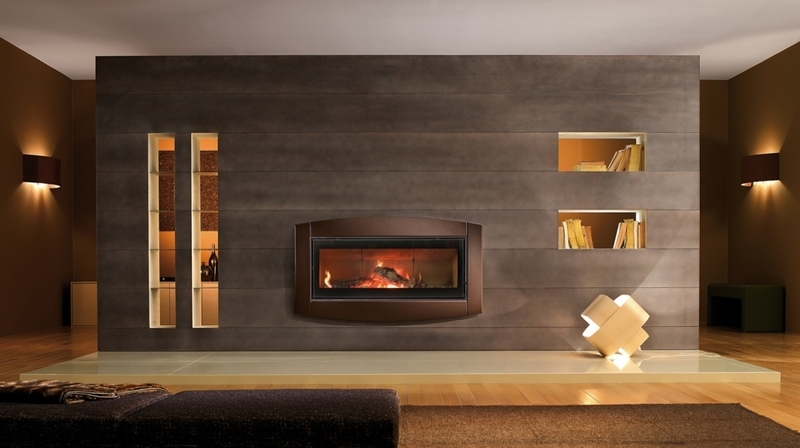 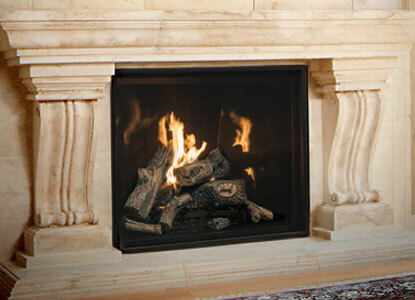 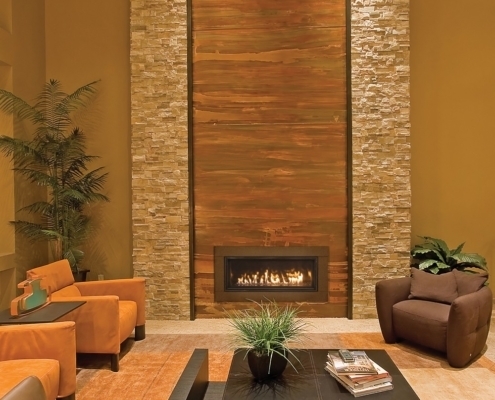 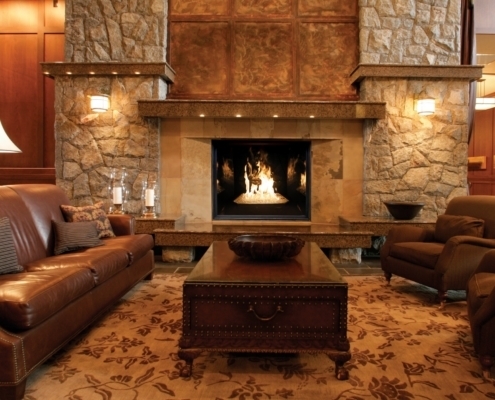 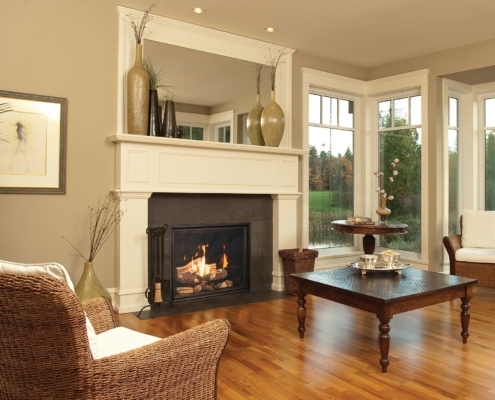 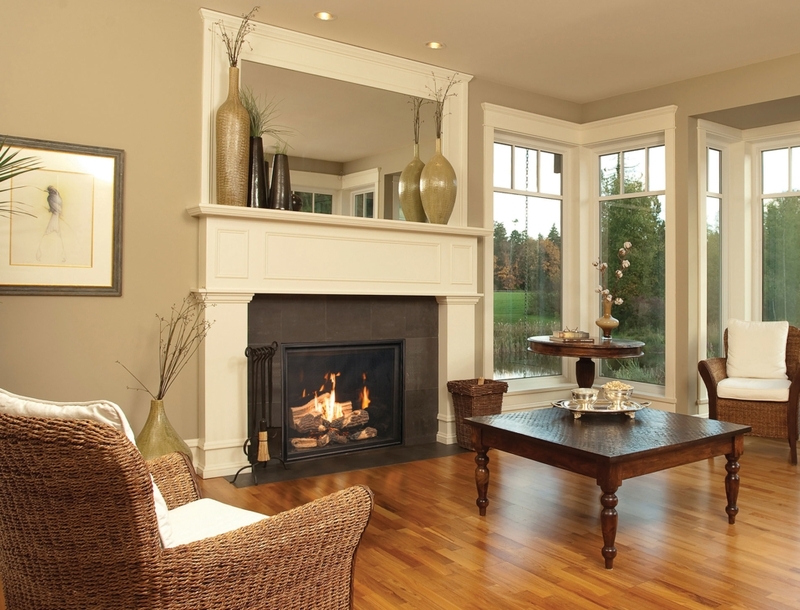 Divide two rooms in dramatic fashion with the TC36 See-Thru fireplace. 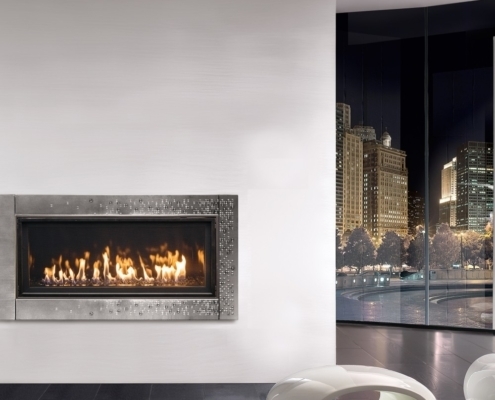 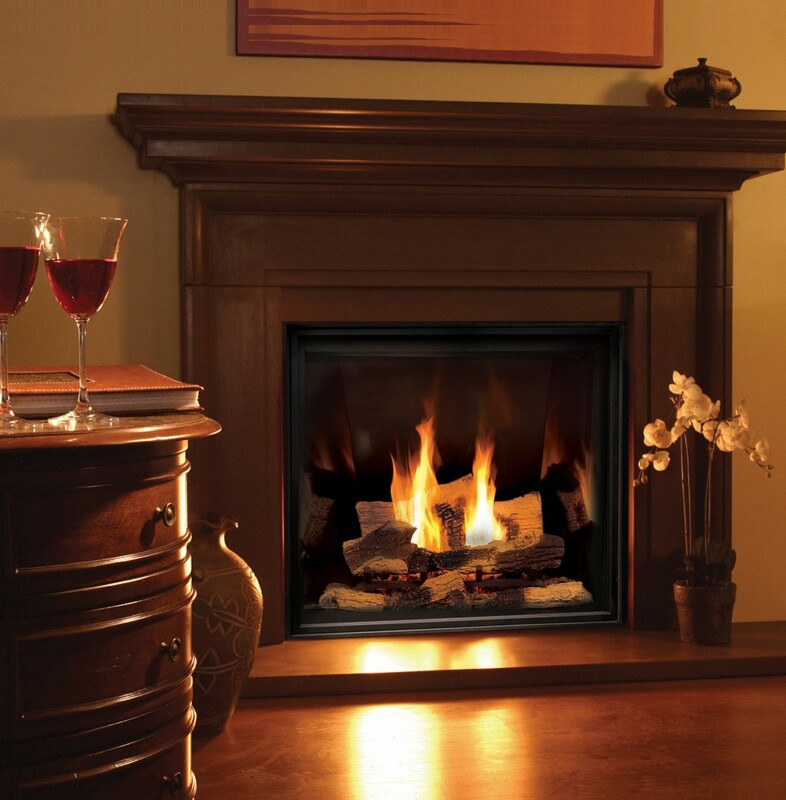 Delivering tall, bold flames to fill the generously proportioned firebox, the TC36 See-Thru delivers eye-catching beauty to two rooms at once. 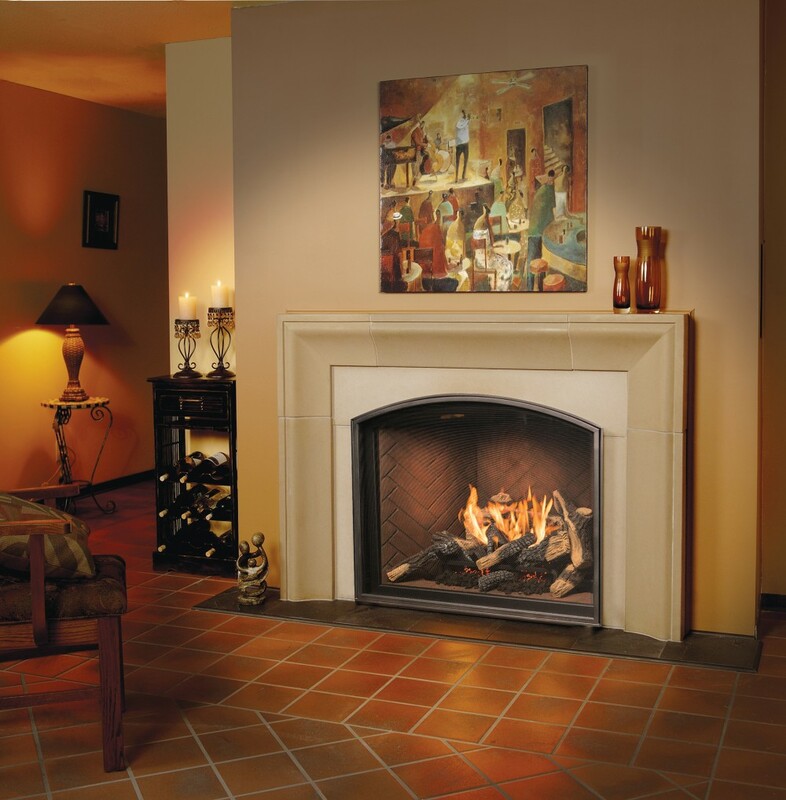 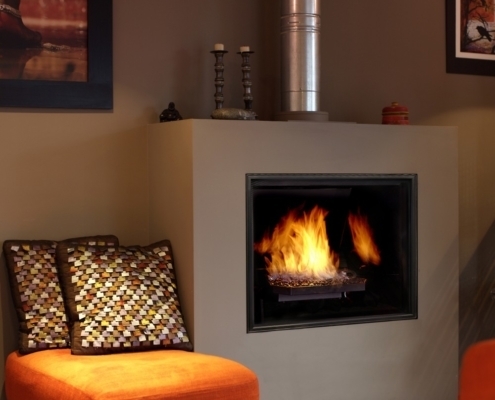 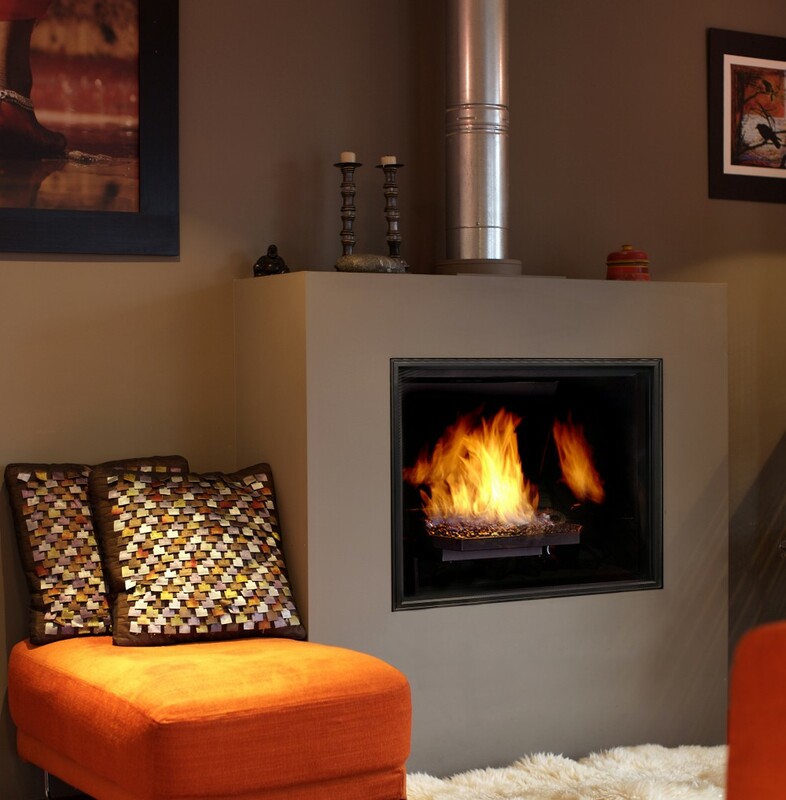 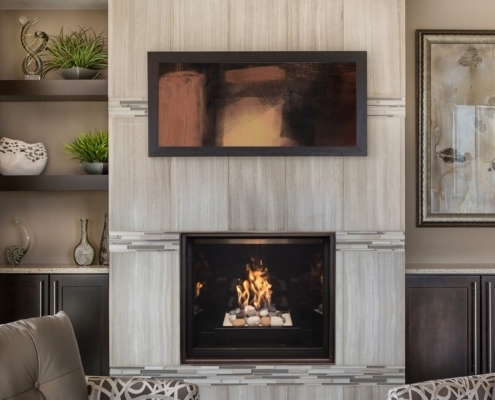 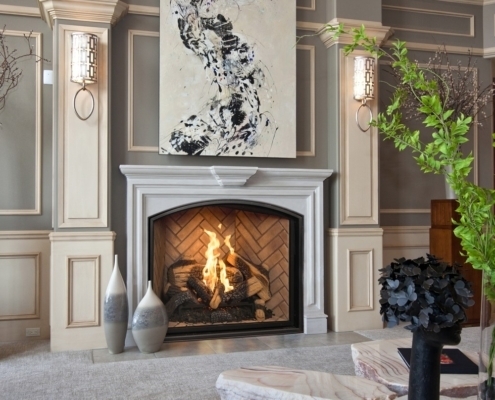 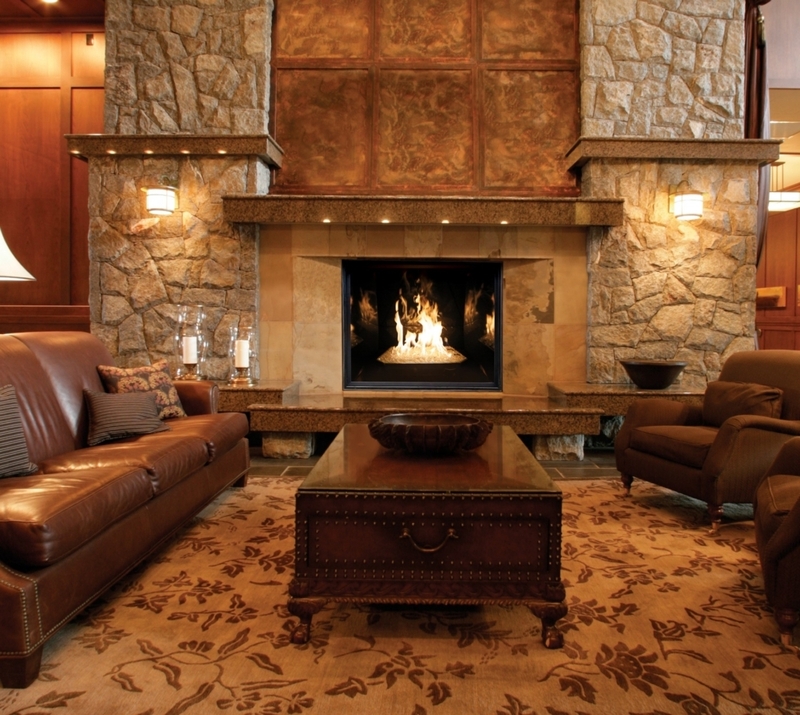 Our smaller widescreen, the WS38 fireplace sets an attractive scene – even when the bold, full flames aren’t burning. 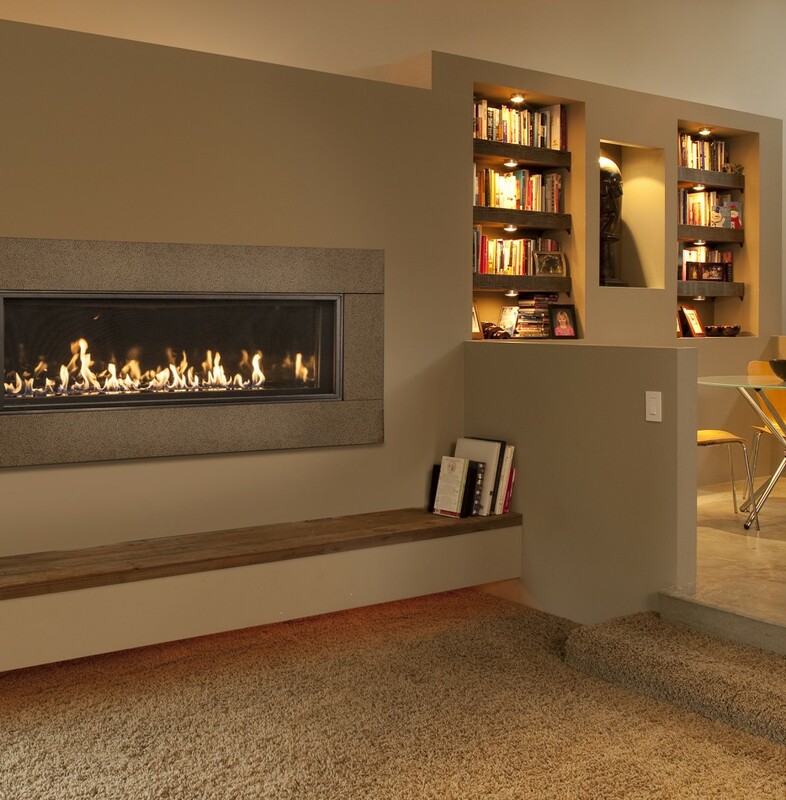 The streamlined silhouette offers a contemporary look with unmatched versatility for any space. 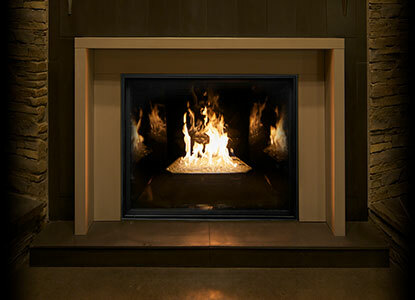 The fireplace that started it all, our TC42 is Town & Country’s flagship hearth, the first to Introduce the clean-face category, revolutionizing the industry. 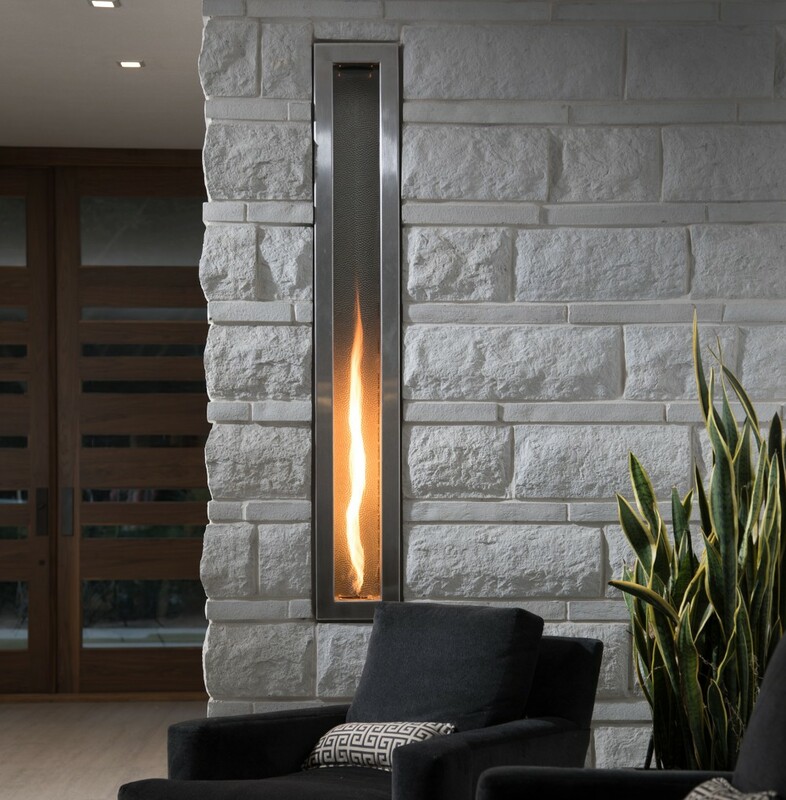 With dynamic, full flames, it commands presence in any room and can be customized to your tastes – from traditional to contemporary, the choice is yours. 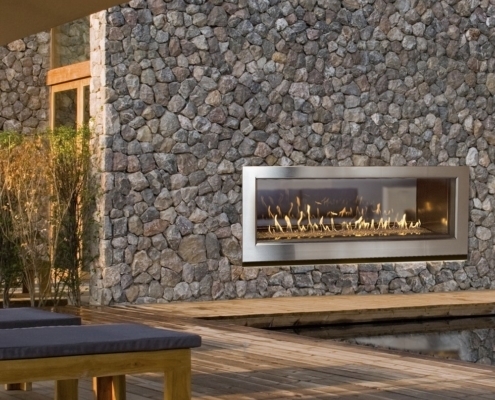 Taking fire to great lengths. 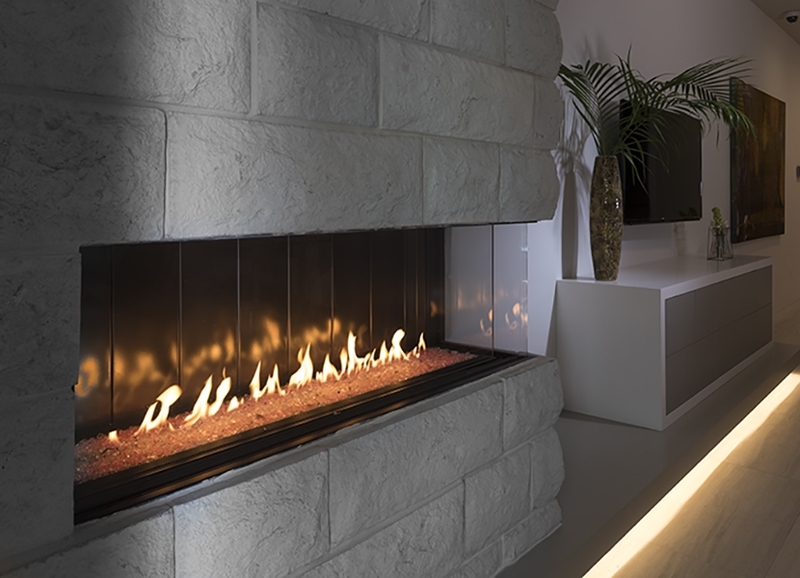 Our WS54 is a massive, widescreen landscape of deep, generous flames that captivate from any angle, making a statement in even the most spacious rooms. 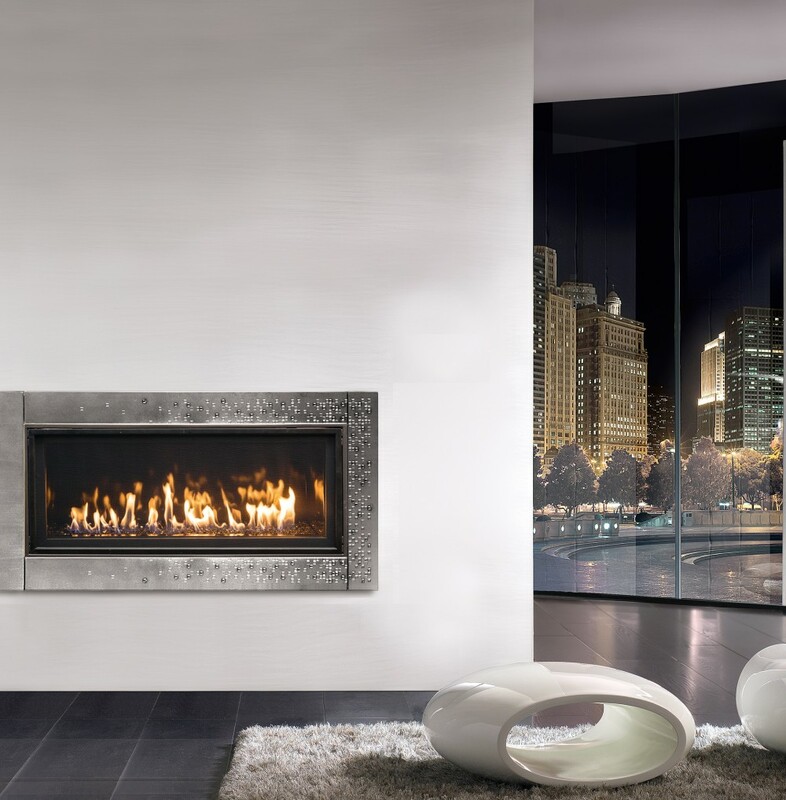 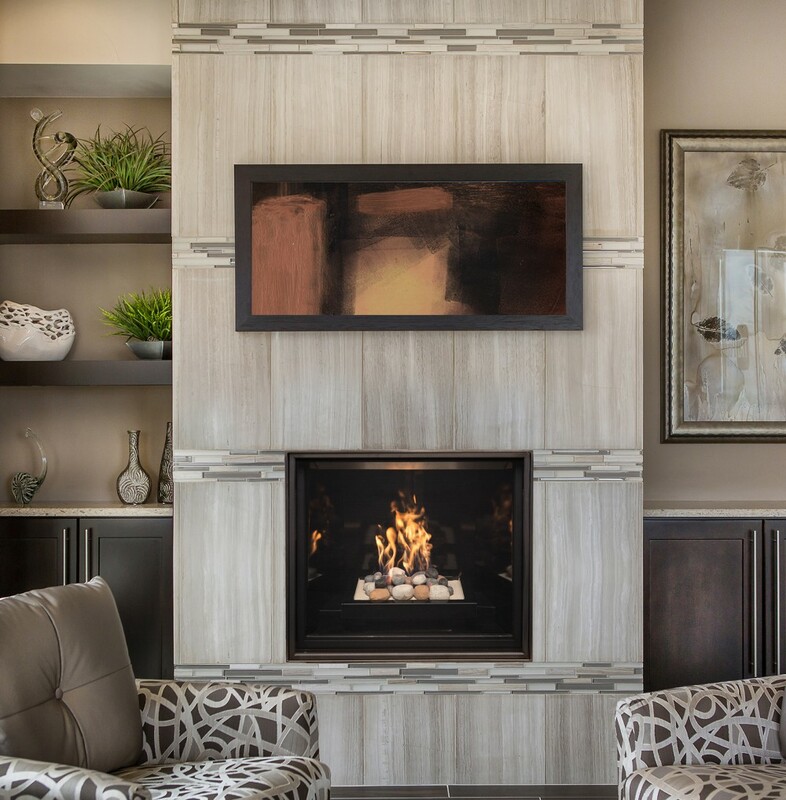 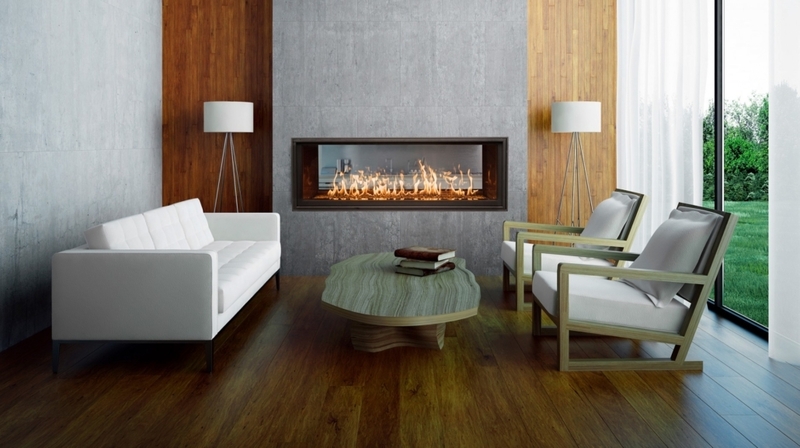 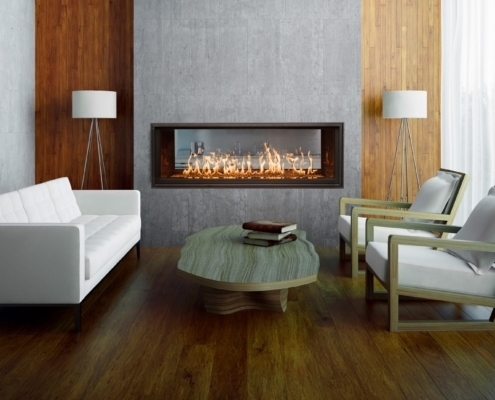 This ultra-modern fireplace is sleek and luxurious and can be customized for your space, from contemporary to traditional. 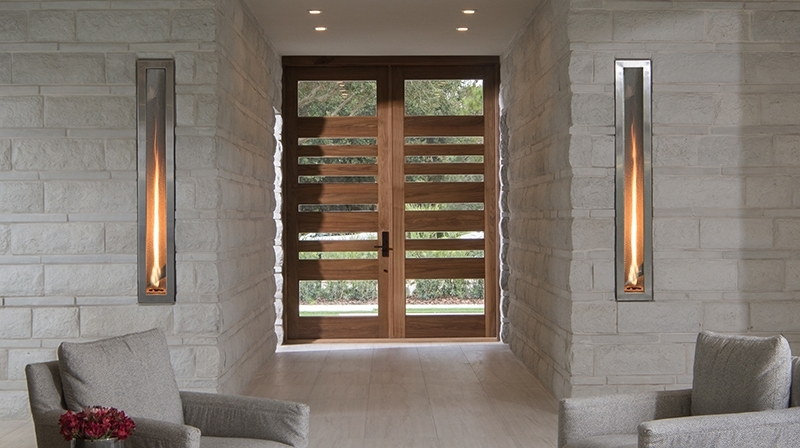 Ultimate performance, inside and out. 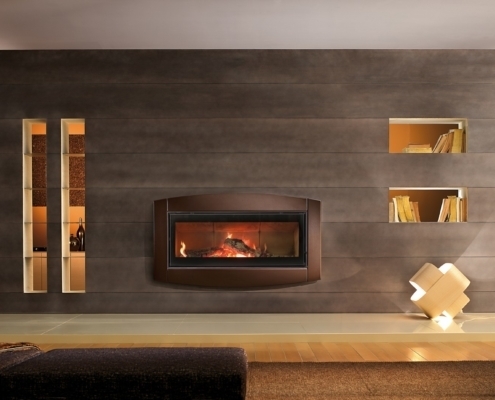 The first linear wood-burning fireplace.